My husband and I have raised our grandson for almost 16 years. Our son has primary custody, but was in and out of jail and signed temporary custody to us. We are retired now and applied to Social Security, but they said we had to legally adopt him to receive the benefits. I was told by an attorney it would cost us thousands of dollars. I can't understand this, since he is 16 and our son does not object. We should be able to just sign forms. 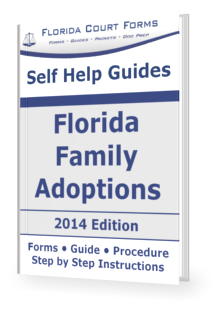 Unfortunately there are no Florida Supreme Court approved forms available for a family adoption, but the process is similar to a stepparent adoption. You can utilize a modified stepparent adoption procedure to successfully adopt your grandchild. All you need to do is to edit the published forms and follow some simple steps. Have a look at our Florida grandparent adoption page for more information. There is no requirement for an extensive background check or home study in a step-parent or grandparent adoption. I need to know what I need to adopt my daughters son. She is going to sign over consent. I do not have the money to hire a lawyer. She doesn't know who the father is.